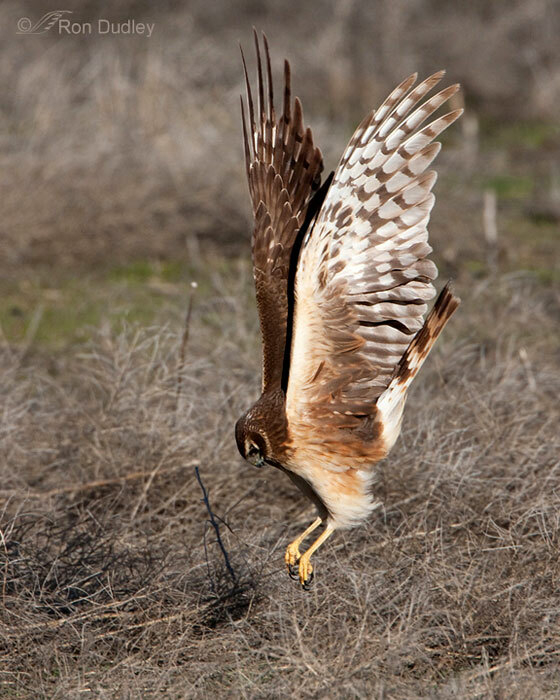 Northern Harriers are benificial to farmers because they eat rodents that can damage crops. The greatest threat to Northern Harriers is the loss of habitat, usually because it is converted into agricultural fields. The Northern Harrier can be polygynous, which means that a single male may mate with two or more females in one breeding season. 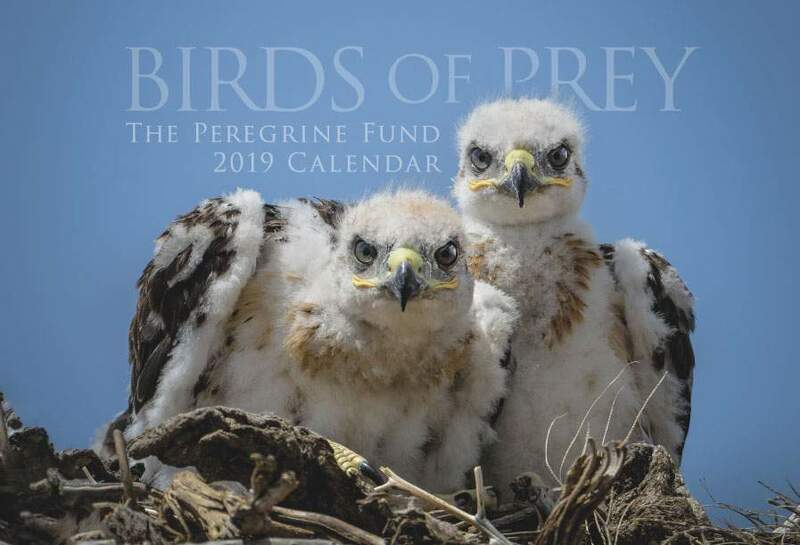 Though The Peregrine Fund doesn't work directly with Northern Harriers, our efforts in scientific research, habitat conservation, education, and community development help conserve raptors on a global scale. We also supply literature to researchers from our avian research library, which helps scientists around the world gather and share important information on raptor conservation. The Northern Harrier occurs widely throughout North America. This species has been found breeding from northern Alaska and Canada to northern Mexico. In the winter, some birds migrate as far south as Central America and northern South America. However, not all Harriers are migratory. When food is available, some individuals remain on their territory year-round. This makes sense. Why travel hundreds or even thousands of miles when there is enough food to eat right at home? Similar to the Aplomado Falcon, the Northern Harrier prefers wide open spaces and is not found in dense forests or woodands. It nests and hunts in a wide variety of open habitats, including wet freshwater or alkaline marshes, prairie, grasslands, old pastures, and cultivated areas. The Northern Harrier can often be seen flying low, wings tipped up to form a "v" shape, over grasslands and other open areas. Males are a beautiful slate grey and white, and the females are a dark chocolate brown with lighter, buffy streaking on the head and a buff-colored breast. Like the Snail Kite, the male and female Northern Harirer sport a bright white rump patch that is clearly visible in flight. The Northern Harrier is famous for its graceful, low flights over grassy or marshy areas, often in search of food. Spotting prey in high grass can be difficult. With this in mind, can you guess what this species has in common with most owls and the Harpy Eagle? 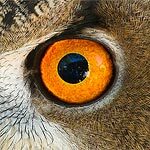 It doesn't hunt at night like owls nor in dense forests like Harpy Eagles, but the Northern Harrier still needs to use its hearing to help it pinpoint prey beneath the vegetation. 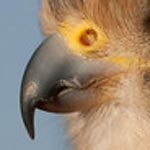 For this reason, the Northern Harrier has a facial disk composed of feathers that form a circle around its face. The disk can be lifted or lowered at will. When the feathers of the facial disk are raised, they help direct sounds to the bird's ears. To see how this works, cup your hands behind your ears and listen. You might notice that whatever you are listening to seems louder. 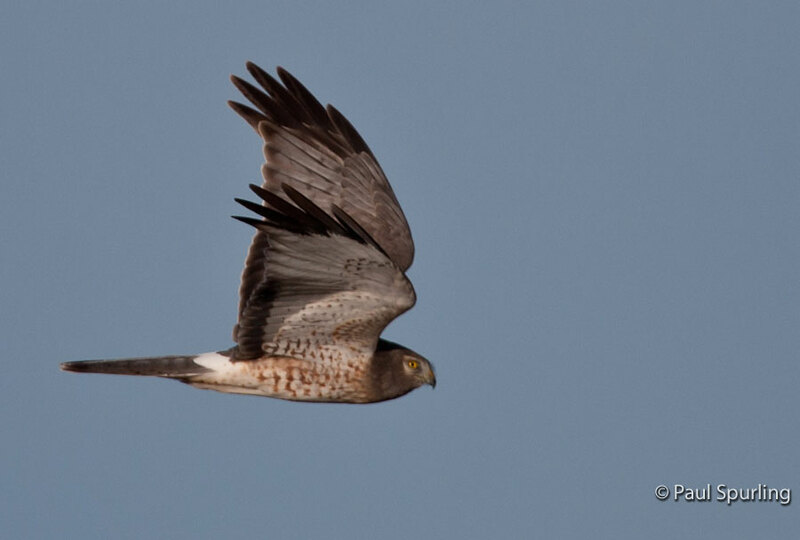 When a Northern Harrier is hunting over dense grass or other vegetation, it listens for the sounds of its prey scurrying below and knows where to aim its sharp talons. Though the Northern Harrier is usually seen soaring over wide open spaces by itself, it may occupy communal roosts in the colder months of winter. As many as 80-90 birds can be seen sleeping or resting close to each other. As you would expect, this usually happens in areas where there is a lot of prey to be found. Like Barn Owls, the Northern Harrier is considered beneficial to farmers because it preys on rodents that can damage crops. Though still common throughout much of its range, Northern Harrier populations are declining in some areas and are listed as a species of "special concern" by the U.S. Fish and Wildlife Service. Like so many other wildlife species, Northern Harriers suffer when their habitat is lost. Conversion of grasslands to agricultural fields, the use of DDT and the draining of marshlands have all contributed to the decline of this species in some areas. Because this species nests on or near to the ground, it is extremely vulnerable to human disturbance and predation. If a tractor or other machinery comes through to plow up the ground where the birds are nesting, the birds, eggs, and fledglings might be killed. Dogs, cats and wild animals, such as foxes, coyotes, badgers, ravens, owls and racoons, can easily predate on the eggs or young birds, too. Despite all this, the greatest threat is loss of habitat as wetlands and grasslands are converted to agricultural fields and pastures. Voles, mice and ground squirrels, oh my! Northern Harriers are not picky eaters. Though small mammals make up the majority of their diet, quite a few other species are found on their menu. Yummy prey includes reptiles, amphibians, insects, and birds – grassland and wetland species such as sparrows, larks, and young waterfowl and small shorebirds. Taking a cue from vultures, they also feed on carrion, animals that are already dead, if the opportunity arises. Like other harriers, Northern Harriers hunt by flying low over the ground, often circling over potential prey before plunging to the ground to capture it. The feathers on their face create a disk that helps them detect the slightest sounds and find prey rustling in grass and brush. When taking larger animals, such as full-grown waterfowl, Northern Harriers have been known to kill their quarry by holding them underwater with their strong talons until they drown. Like the Aplomado Falcon, the Northern Harrier has also been documented engaging in kleptoparastism. This means they steal food from other raptors by chasing and harrassing them until they drop their prey. Then the Northern Harrier swoops in and grabs it. During courtship, the males put on quite a show, diving and swooping through the air in the hope of catching a female's eye. When it is time to build a nest, the female is in charge. The male may help gather nesting material, but the female is responsible for contruction. She builds the nest out of sticks or grasses in a well-hidden spot on the ground in thick shrubbery and grass or over shallow water in stands of cattails or other vegetation. Depending on the abundance of prey, she lays 3-6 eggs, which are mainly plain white. During incubation, the female again takes charge. She incubates her eggs for about 4-5 weeks. At this time, it is the male's job to bring her food. After the young hatch, the male continues to provide food for the female and his nestlings. A male Northern Harrier will mate with up to five females in a single breeding season. This is the opposite of female Galapagos Hawks, which have several mates during the year. After the chicks hatch, the male nestlings take about 31-34 days to fledge, while the females take a little bit longer, usually fledging around 35-38 days. Though Northern Harriers have been known to breed in their first year of life, they usually begin to nest when they are 2-3 years old. Northern Harriers work hard to protect their nests and young. They can be seen flying low over intruders and calling loudly in an attempt to scare them off. 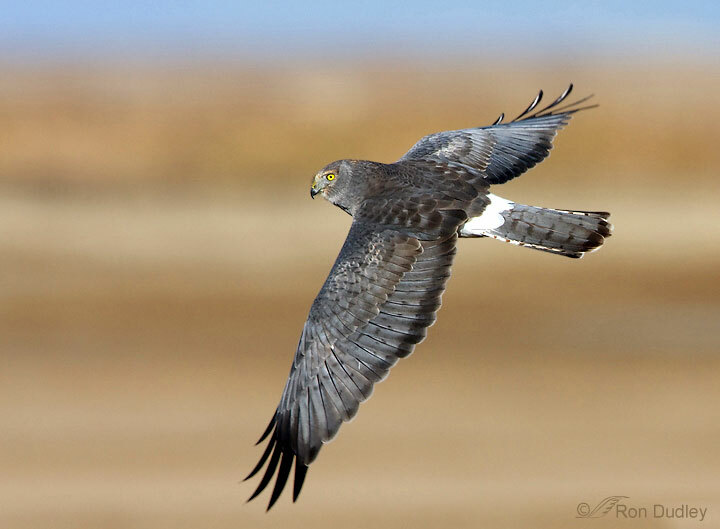 The Northern Harrier can be found in Idaho year-round. 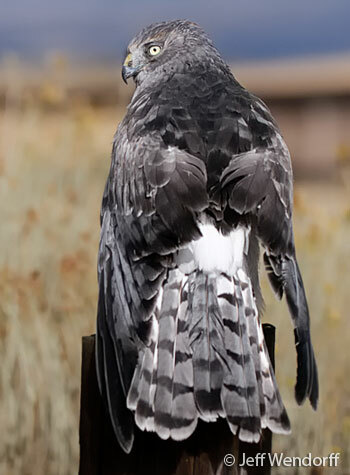 They are more commonly seen in the southern part of the state than in the north, due to the fact that southern Idaho has more open areas, the preferred habitat of this majestic raptor. Though Idaho's population of Northern Harriers seems to be holding steady, they are always at a risk as more of their habitat is lost. Northern Harriers can be seen around The Peregrine Fund's World Center for Birds of Prey. As you drive up to the entrance, watch for them soaring low over the grassy fields on either side of the road. When walking our nature trail, be sure to look for these graceful, agile raptors. An interpretive sign at the end of the trail teaches you how to identify a raptor based on its silhouette.